Once you arrive in Jaipur, meet our Representative who offers you an assisted transfer to the hotel.Overnight stay at the hotel. Day is booked for enjoying sightseeing of the Pink city ofRajasthan. After breakfast, leave for sightseeing where you will cover Jantar Mantar, Hawa Mahal and City Palace. Later, explore the local market and shop for some amazing stuff such as traditional clothes, jewelry, handicraft etc. Enjoy elephant ride at Amer Fort. Overnight stay in hotel. 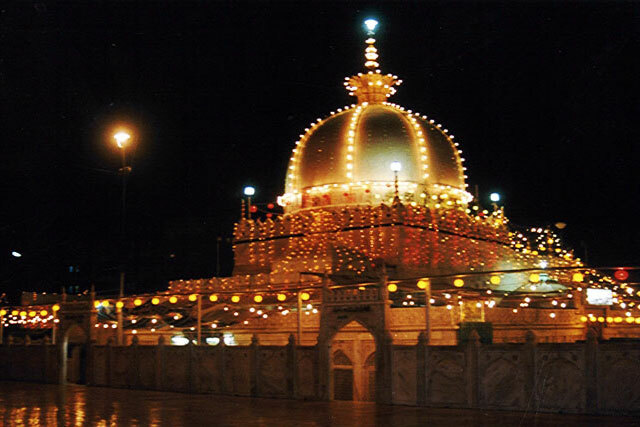 Today After early morning breakfast we check out from hotel and proceed to Pushkar Via visiting ajmer and arriving straight to ajmer and visit jain temple and dargah sharif as well as baradari. we visit the anasagar lake and proceed to pushkar After check in to hotel evening for leisure to visit markets. 1 A/c Indigo for all trip. Vhicle and drivers all expenses including. Entry fees of monuments/or temple.